Happiness comes at a price... and not everyone he loves can be saved. A pulse-pounding psychological thriller from multi-million-copy bestselling author Michael Robotham. With no shortage of suspects and tempers beginning to fray, Joe discovers links between these murders to a series of brutal attacks where the men and women are choked unconscious and the letter 'A' is carved into their foreheads. 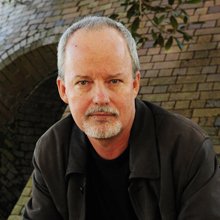 A chilling psychological thriller from one of the most brilliant crime authors of today, Michael Robotham.